Once again, your pictures are out standing, but could you point out to me, the grave site at Jurby. The headstone,to the left in the foreground appears to be different, and one standing in the rear, is that a German marker? Just wondering, other than that I look forward as always to future views of a lovely wee island! Thanks again! Hi David, thanks as always for your comments. The Cross is dedicated to a Gentleman by the name of Jan Gawtikowski who was a Major Pilot in the Polish Air Force and the headstone also has the dates of; 4/2/1899 to 15/6/1941. I’ve just come across this site by chance. 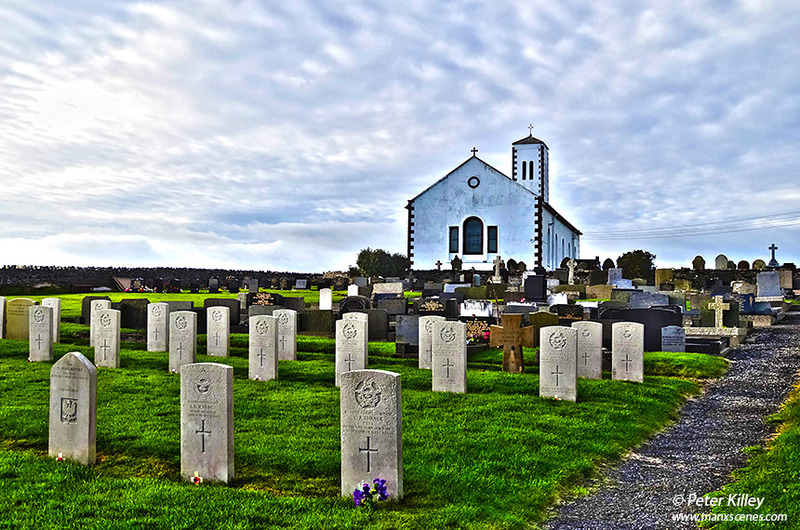 I’m particularly interested in the Jurby Church and cemetery as I believe my ancestors are buried there. Do you take pics of the actual grave stones? I am interesed in the last names of Caley, Kelly and Quuayle. My Gt. Grandparents were Thomas William Caley and Lydia Underhill who immigrated to Canada and died here. Gt. Gt. are Thomas Caley and Ann Quayle.. Then John Caley and Elizabeth Jane Bridson and finally Michael Caley and Margaret Kelly. If you have pics or do this could you let me know how much it would cost. I hope it’s warm on the IOM. I’m in southern Ontario and we have a ton of snow and it’s cold! Thank you. If you drop me a mail via the “Contact Peter” section I will have a chat to you via email, but one way or another I will sort something out for you.